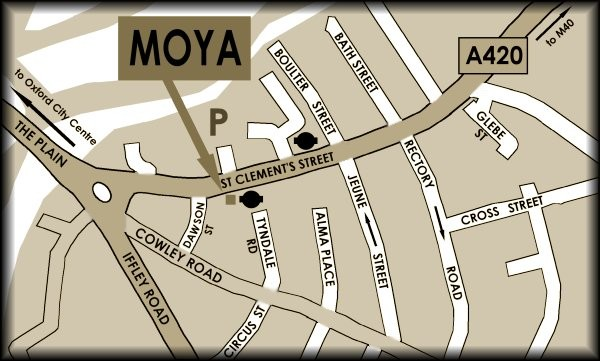 Moya is located in East Oxford, close to Magdalen Bridge on the road to Headington and London. Due to redevelopment of St Clements car park, go to http://www.oxford.gov.uk/PageRender/decTS/CarParksOutsideCityCentre.htm for the latest car parking information. For your convenience we have added to this page the Google Maps information, as well as a custom map of the local area.